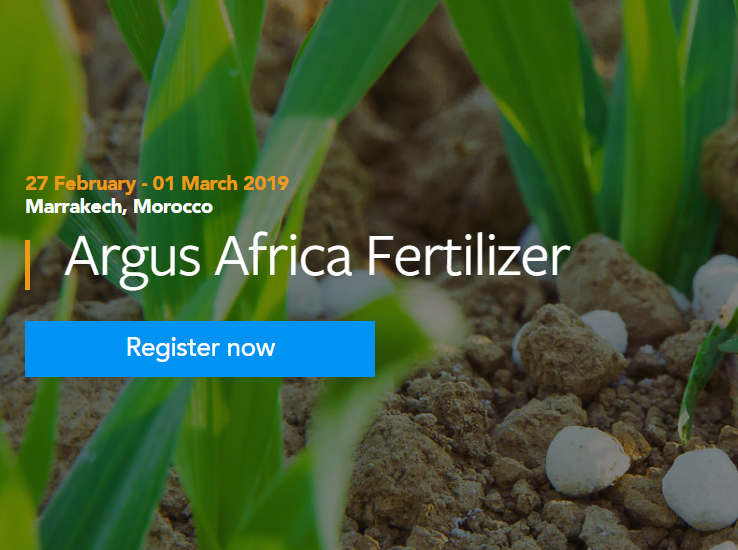 The 10th annual Argus Africa Fertilizer, taking place in Marrakech in February 2019, will bring together over 500 key players from the fertilizer supply chain from across Africa. As the leading and biggest fertilizer conference in the region this is the only place to find all the regional contacts and market insight you need to build your presence in the dynamic and growing fertilizer market in Africa. Due to the unique partnership of CRU Events and AFAP this conference series is now well established as the premier meeting for linking senior executives from across the international fertilizer supply chain with key stake holders in African agribusiness. This year, the conference partners have decided to consolidate the West and East Africa Fertilizer Agribusiness events into one large conference with a comprehensive and interactive programme.